The newly appointed Prime Minister of Japan has promised a fresh push towards new tax measures to shore up the country’s financial stability and decrease the national debt levels. Throughout the weekend following the appointment of Yoshihiko Noda’s as the Prime Minister of Japan, the new leader said that he will soon set out to introduce a temporary increase to the country’s consumption tax rate, however Yoshihiko Noda has not yet revealed what rate he will seek to instate. In an interview conducted on September 4th the new Finance Minister of Japan Jun Azumi said that the Prime Minister will hold discussions with opposition parties and the Finance Ministry, and have a plan for a tax increase by the end of October. Yoshihiko Noda has repeatedly advocated the necessity to raise consumption taxes in Japan, which are currently set at a rate 5 percent. He also highlighted the importance of lowering the country’s debt levels, and necessity of raising funds for a recovery from the recent spate of natural disasters in Japan. Over the weekend, the Prime Minister reiterated that these goals will be pursued and that there is no time to waste on the issue of taxation. He added that he was not simply looking to raise taxes as a means of closing the budget deficit, but is seeking to instate an increase as a genuine means to aid the country’s financial situation. 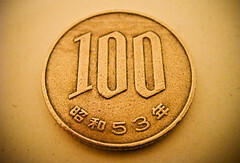 Some political and taxation analysts in Japan have speculated that the likelihood of an increase to the consumption rate is appearing more possible following the appointment of Yoshihiko Nado as the Prime Minister, and he will be more active in pursuing the new tax measure compared to his predecessor Naoto Kan.